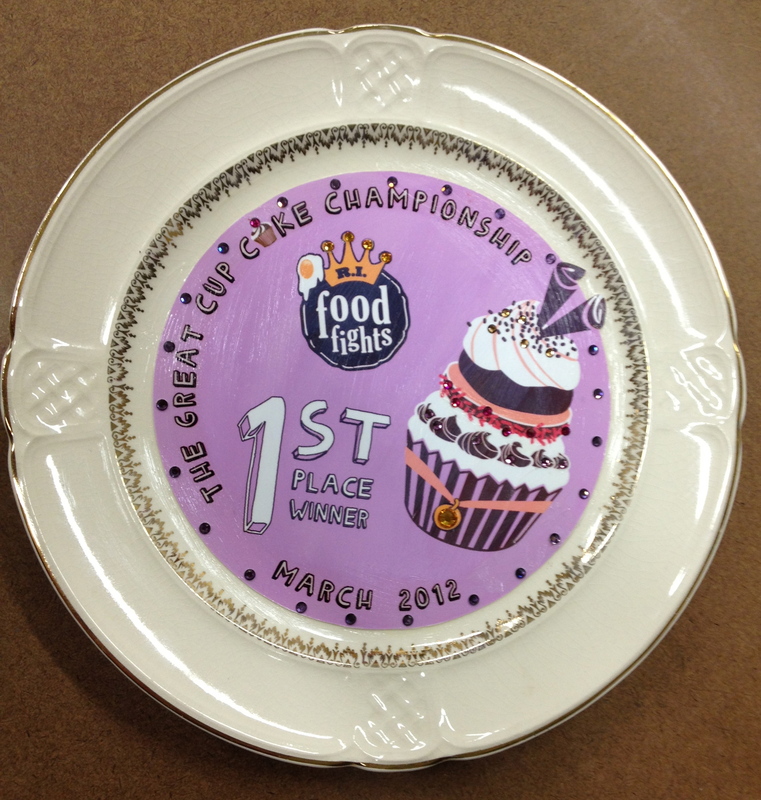 Ahlers Designs was proud and inspired to be asked to make the awards for the premiere event of the RI Food Fights, The great cup cake championship. this event will take place today at The Spot Underground. I am looking forward to tasting the tasty treats. RI FOOD FIGHTS is excited to remind everyone that Save Chocolateville will be on hand with their incredible Garrison chocolate bars for sale. All proceeds go to children in need in Central Falls, RI. Thanks to Mike Ritz, founder of Save Chocolateville and our co-host and Andrew Shotts, owner of Garrison's and head juror in today's competition. — with Mike Ritz and Andrew Shotts.